SPAB Briefings are special supplements produced to meet the demand for information on specialist subjects, with an initial print run of 10,000 copies. They are distributed to all SPAB members and make essential reading, covering topics about Heritage, Protection & Conservation, focusing on core elements of the Care & Repair of Ancient & Historic Buildings across all times and styles. 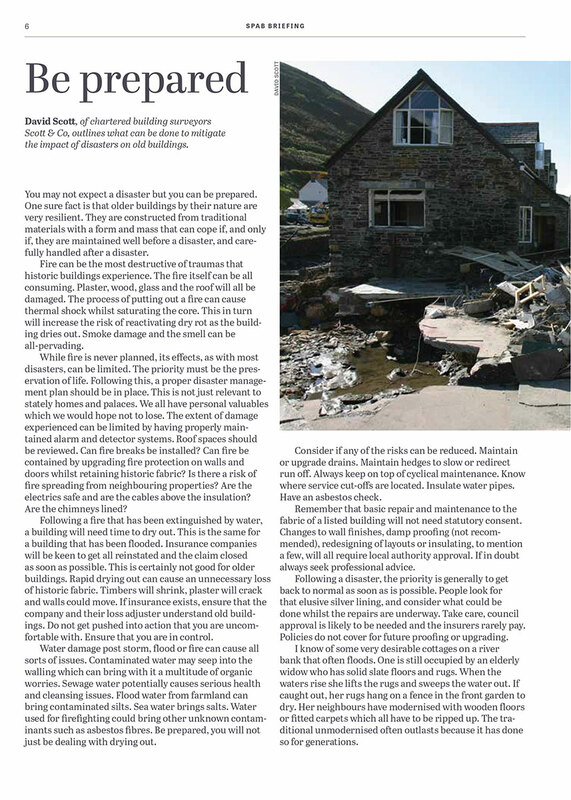 SPAB Briefing is also distributed to Landmark Trust properties at SPAB seminars, shows and events, putting your products and specialist services in front of those that need the most. 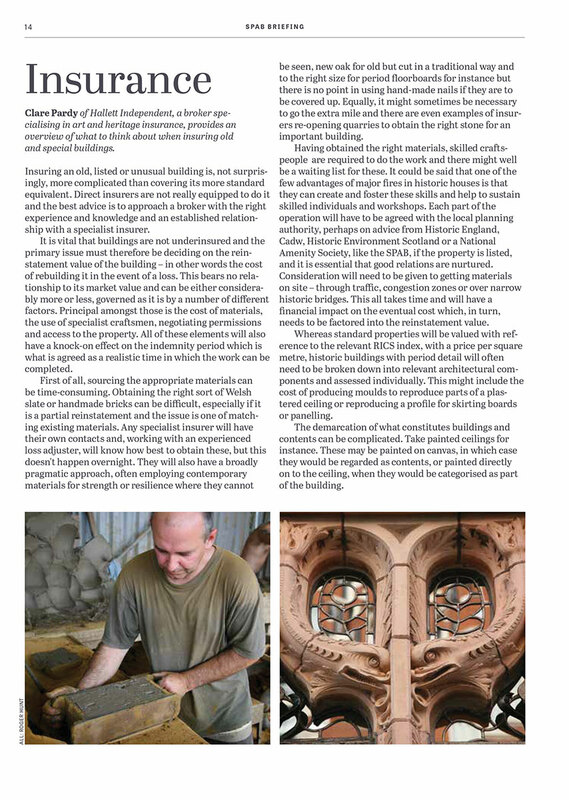 First published in 2014 SPAB Briefings are now in their 4th year and so far topics have covered Energy Efficiency, Lime and Windows & Doors. 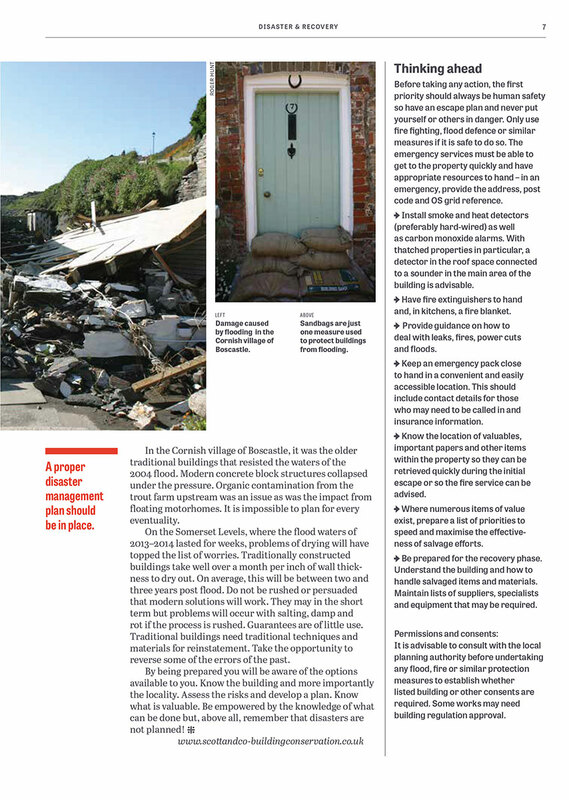 The last edition published in November 2017 looked at Disaster & Recovery. With a print run in excess of 10,000 it was sent to over 8200 SPAB members in December and also distributed to Landmark Trust properties, leading opinion formers, Government departments and other heritage bodies. The Briefing will also be available at SPAB seminars, shows and events. Readership includes architects, surveyors, town planners, local authority conservation officers, engineers, builders, draughtsmen and interior designers. Over 60% live in old or historic houses. There is no doubt that It is an excellent medium for reaching not just owners, but also specifiers of technical building products and those who provide a wide range of services for the conservation of old buildings. It is a very effective way to target an educated audience of dedicated conservationsts committed to looking after old buildings in the best way. 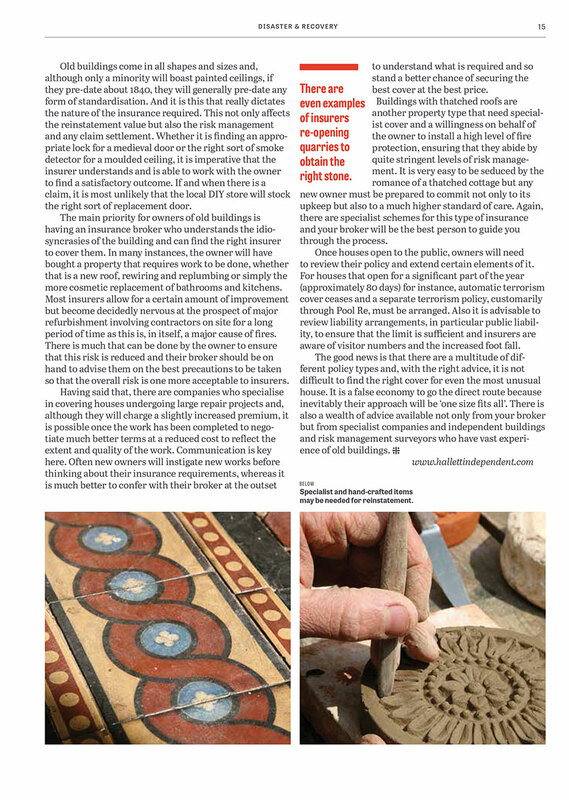 Whether you are offering a service or product, SPAB Briefings are an excellent place to advertise as you will reach owners, architects, surveyors, town planners, engineers, builders, craftsmen and conservation officers,who seek out companies who can provide the products, service and expertise they require.